Air traffic controllers in Yellowknife, Northwest Territories, joined in a widespread, pizza-based act of goodwill last week. 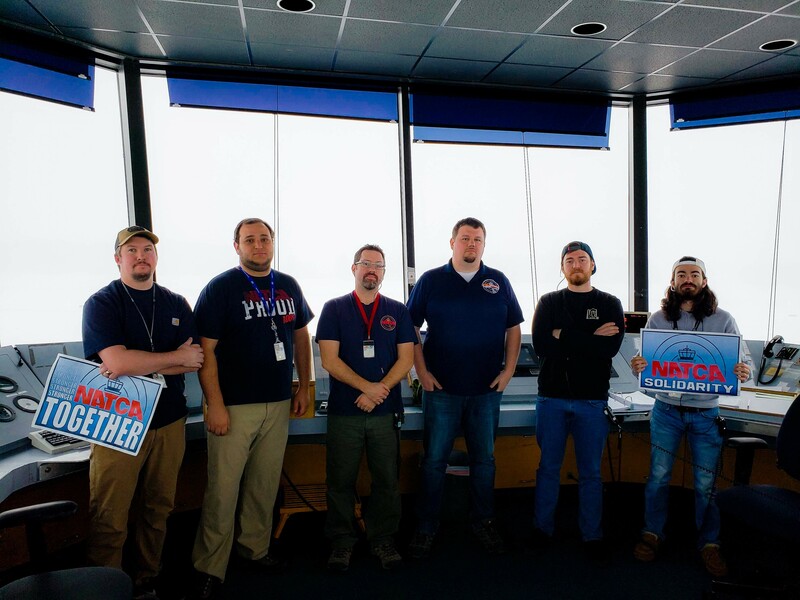 Air traffic controllers from the northern Canadian city bought their counterparts in Juneau some Domino’s last week as the federal employees’ unpaid payday came and went on Wednesday. Canadian air traffic controller Mark Hilman heard about some of his colleagues in Edmonton sending pizzas to their Anchorage counterparts. He works at the Yellowknife Airport. Hilman called up his counterpart in Juneau last week. “Honestly, it was a little out of the blue,” said Juneau air traffic controller Rob Swinton. He represents 13 air traffic controllers for his union who work in that tower. He and Hilman were strangers. “But I’m definitely interested in going to visit now. 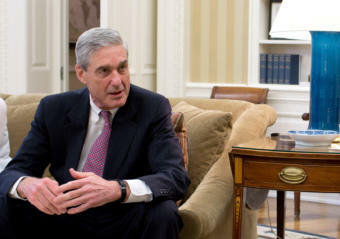 You know, once this government gets opened back up,” he said. Swinton said it was good timing. Last Friday was when he and his coworkers could go online to see what their upcoming paychecks would be. They had their pizza lunch, paid for by Hilman’s Canadian air traffic controllers’ union, in the tower. There are no pizza pictures — Swinton said they have to jump through a lot of hoops to get permission to shoot photos up there for security reasons and to minimize distractions. With the shutdown, Swinton said they’ve got other stuff to worry about. He’s quick to add they’re still being professional and keeping the airport running safely. One of his new coworkers was just starting his new job as the shutdown began. Swinton was reluctant to identify him because he doesn’t have union protections yet. He said he ought to be in training, but he can’t because of the shutdown. He just signed a lease and is living off savings. 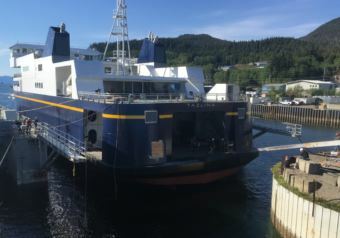 Records show state officials are exploring adding a second Juneau ferry terminal 30 miles north of the Auke Bay terminal to shorten travel time. 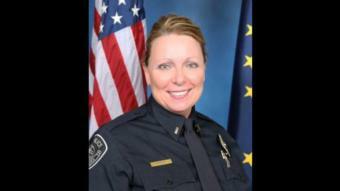 Anchorage police Lt. Nancy Reeder has accepted Fairbanks Mayor Jim Matherly’s offer to serve as the city’s new police chief. Alaska Public Media went to a Fred Meyer parking lot in Midtown Anchorage to ask Alaskans what they think of the Mueller report. 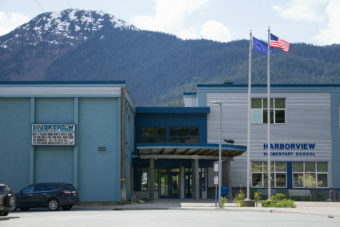 The Juneau School District allocates teachers to each school based on an ideal student-to-teacher ratio. For Harborview, a shift would likely mean class sizes of up to 30 students. Join KTOO for a special conversation with NPRs Lakshmi Singh. Singh’s range of experience with NPR includes serving as midday newscaster, reporting on complex social and political issues, and contributing to Latino USA. Lakshmi will be joined onstage by Jennifer Pemberton, KTOO’s Managing Editor. The two will discuss challenges facing the industry in current times, diversity in reporting and their own personal experiences. Audience will have an opportunity to submit questions for a curated Q&A. 5:30-6:30 p.m. Join Lakshmi Singh at TK Maguire’s before the show for a Meet and Greet event. Snacks will be provided. No-host bar. No-host Wine and Kombucha bar – all proceeds benefit KTOO. Kombucha provided by Alaska Probiotics. Under 21 must be accompanied by parent or legal guardian. EducationEducation covers everything from pre-school to college graduation. Crime & CourtsCrime and Courts encompasses arrests, investigations, crime and trial news both local and statewide. MilitaryMilitary news and features including issues regarding the Coast Guard, Army and Air Force bases in Alaska. EconomyBusiness & Economy highlights newsworthy events in the local and statewide economy. MudroomsReal people. real stories. Live, on stage. 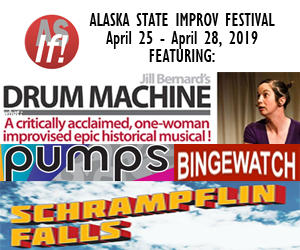 “Mudrooms” is a community-powered monthly event in Juneau, where real people tell real stories, live. Anchorage has “Arctic Entries”. 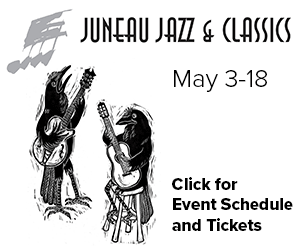 In Juneau, we’re just as sophisticated – just a little muddier. Mudrooms’ creators are Amanda Compton and Alida Bus. Audio production by Marc Wheeler. Focus On Community“Focus on Community” is an hour long, public affairs program hosted by different volunteer, community members each week. The format ranges from in-studio discussions, to live call-ins. Topics vary from peace initiatives to mental health problems to hotly debated town issues. Any and all community members are invited to present a show idea and work with us to bring it the air. Telling Tales with Ms. GEach week, host, Ms.G, reads a selection of writing based around a given theme. 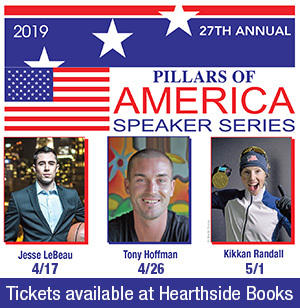 Audio of her show is available the following day here on our website.